I am in my state of bliss when I have one of two things in front of me: a juicy New York strip steak (and a glass of red wine), or a big data set with information related to Amazon. Andrew Youderian of eCommerceFuel sent some bliss my way earlier this week, with his recent State of the Merchant report. Andrew is the ring leader of a private community of ecommerce sellers, many of whom rely on Amazon as a main sales channel. He is an experienced practitioner (has started and sold various ecommerce businesses), and has some interesting insights into ecommerce strategies. 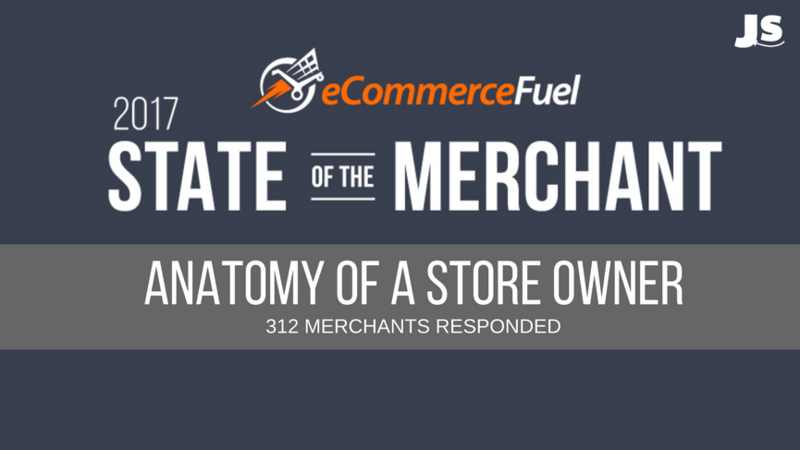 In his State of the Merchant report, he shares some fascinating insights from over 300 ecommerce sellers that he surveyed last year. Store owners are seeing significant year-over-year growth, to the tune of 25%. The three fastest growing categories were health, automotive, and pet supplies. Nearly half of all sellers rely on organic search as their key traffic source. The average store owner’s net worth is $175k, which Andrew notes is 5 times higher than the average American between the ages of 35-44. These are just a few of the many intriguing snippets that Andrew gathered. You can see the rest in the infographic that he did below, or read his analysis here. Good read, kick [email protected]@ chart thanks for posting!! !